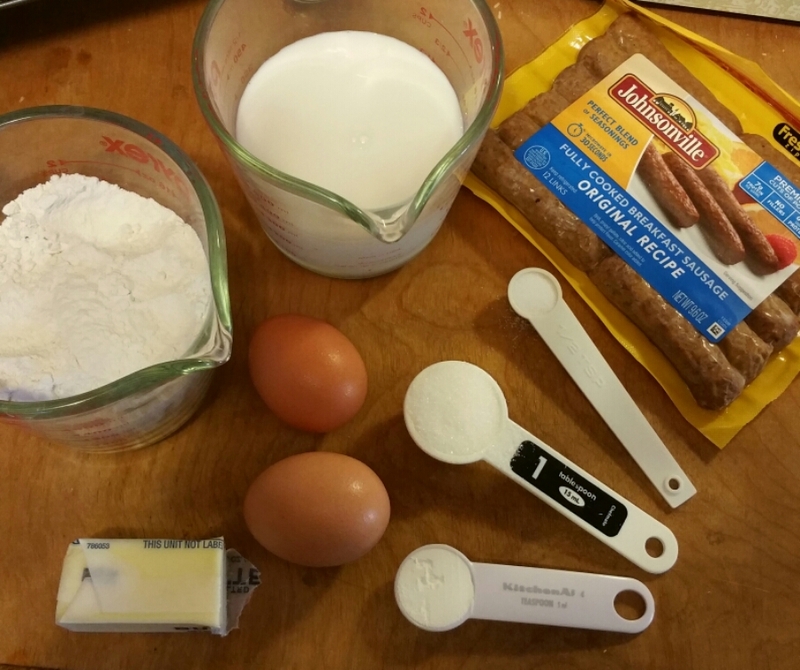 Disclosure: This quick breakfast ideas recipe is sponsored by Johnsonville and features their breakfast sausage. Ahh, mornings. The time when I need quick breakfast ideas to keep my composure and the day on track. I always have high hopes for a beautiful morning. I imagine getting up before the kids, showering, getting ready, and eating a quiet breakfast. Or, perhaps reading or getting a bit of work done. Then my bright-eyed, smiling children would wake up in the most pleasant moods and happily eat whatever I make for them that morning. 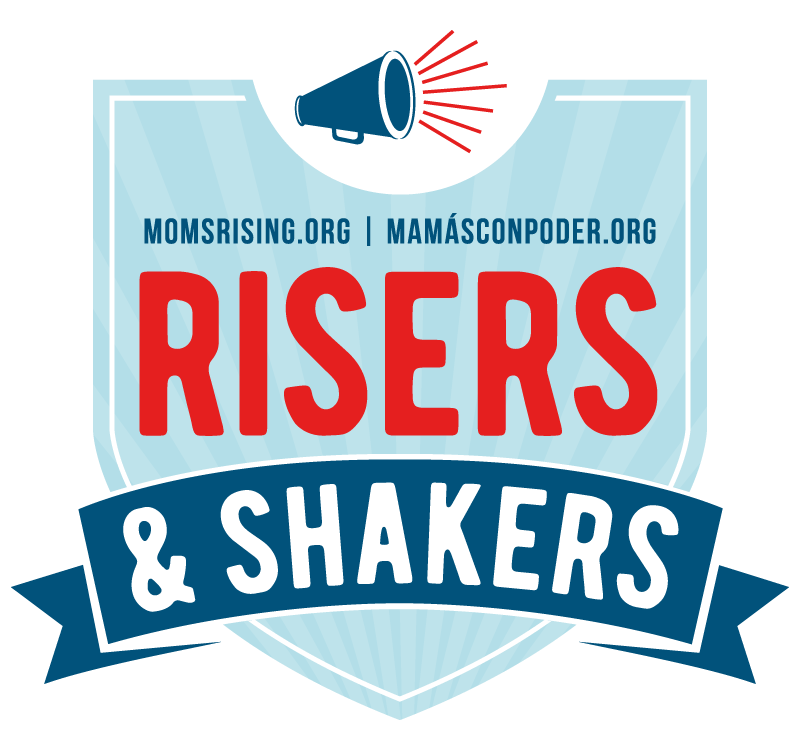 Because of my struggle to be an early riser, I often feel rushed in the mornings. Breakfast is important, but I feel more relaxed when I can serve it up quickly. This is why I'm a huge fan of making freezer meals that result in quick breakfast ideas like this one! If it's portable, even better. Since we only have one car, sometimes I give the kids breakfast or lunch to eat in the stroller as I walk them where we need to go. Even if we don't need to be anywhere right away in the morning, it makes things smoother. This post contains affiliate links. This means we may earn a commission if you make a purchase. 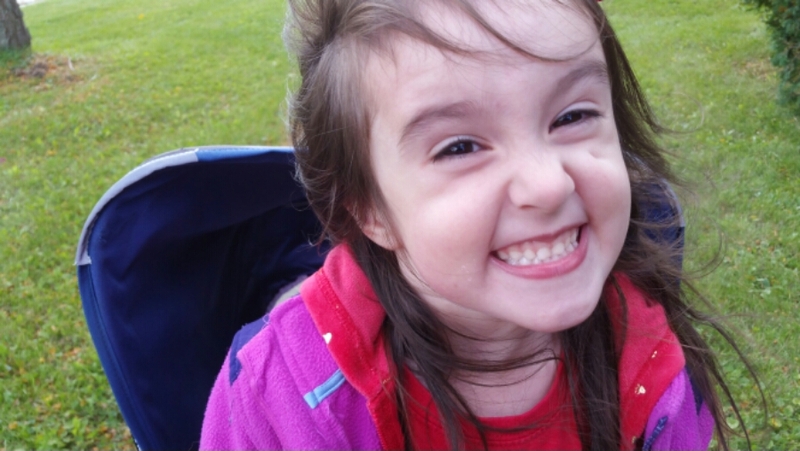 The kids love pancakes and sausages, but they aren't easy to eat on-the-go. 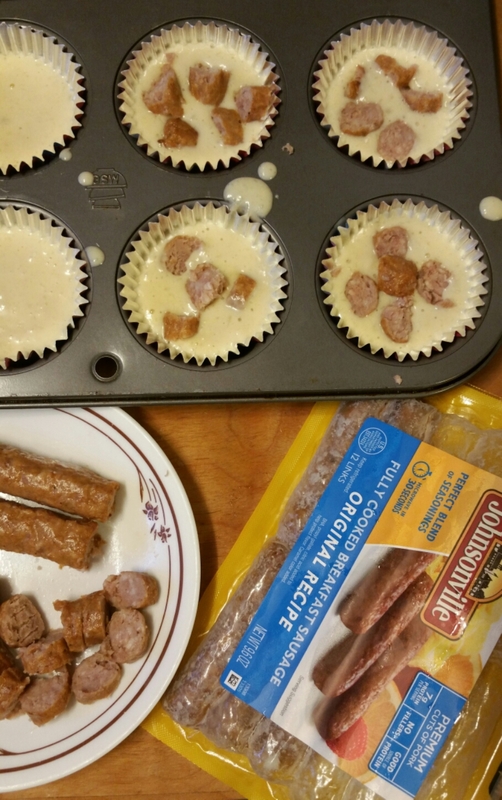 So, I decided to make pancake muffins with sausage in them. The kids thought they were fun because they look like cupcakes. (That is one reason why I decided to use cupcake liners!) These can also be baked ahead and frozen. Just pop them in the microwave to heat them up! 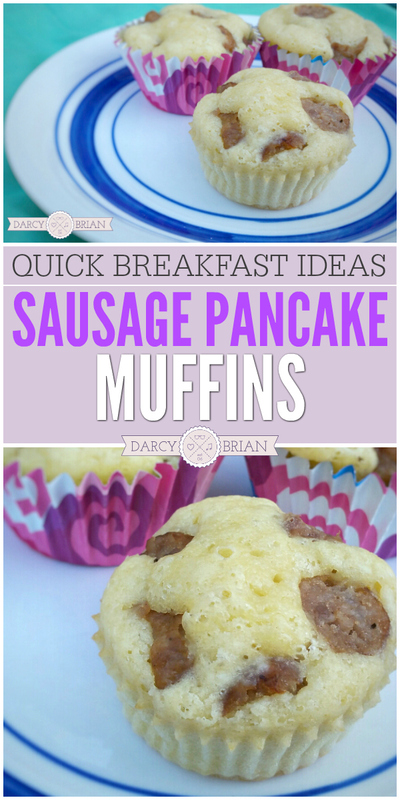 What's not to love about yummy quick breakfast ideas like this one? 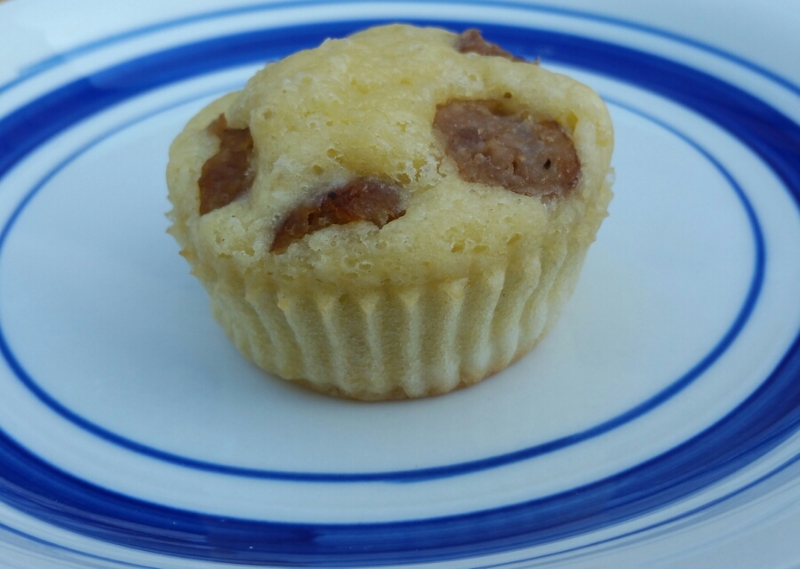 These sausage pancake muffins were a hit with my whole family (yay!). I made the pancake batter from scratch and used already cooked Johnsonville breakfast sausages. You could also use a pancake mix if you wanted. Pancake recipe adapted from Fabulessly Frugal. Stir the dry ingredients (salt, baking powder, flour, and sugar) together in one bowl. Crack the eggs and mix them with the milk. Melt the butter and stir it in too. Add the dry ingredients to the wet ingredients. Mix together until the dry ingredients are wet, but do not over mix. The batter should be a bit lumpy. Fill each well of the cupcake/muffin tin about 3/4 full. Cut sausages into bite sized pieces. Add them to the cups before baking. The amount will vary depending on how much meat you want in each one and the size you cut. 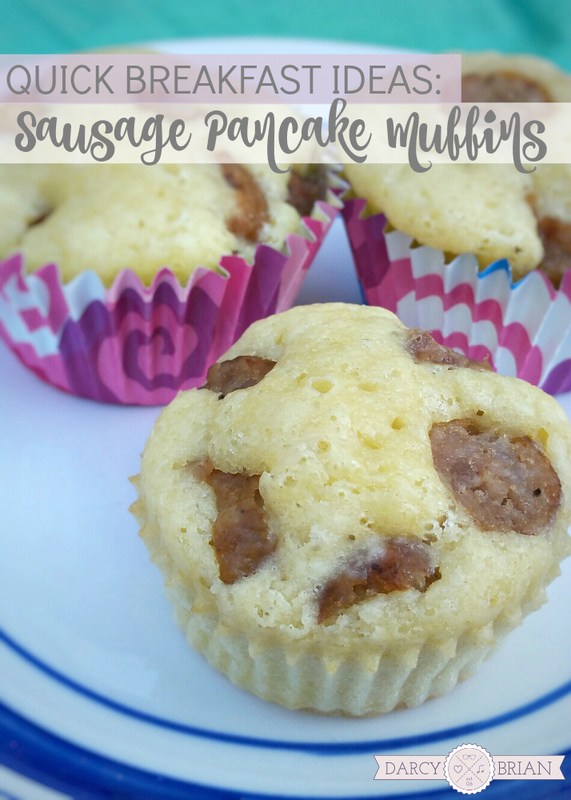 We love these simple sausage pancake muffins, and I know you will too! Quick breakfast ideas for us often mean great semi-homemade meals. To make this even easier, you could grab a box of your favorite pancake mix. Add in some fresh fruit, chocolate chips or chopped sausage to create great freezer breakfast options that are quick and delicious. These breakfast muffins are a quick an easy breakfast your family will love. Fill each well of the cupcake/muffin tin about ¾ full. Cut sausages into bite sized pieces. Add them to the cups before baking. The amount will vary depending on how much meat you want in each one and the size you cut. I'm linking up at these recipe, craft, and DIY linky parties throughout the week! Find more recipes here or follow us on Pinterest for more breakfast recipes. These look so good and are just in time for me to try them out on a family vacation! Thank you for sharing them! We hope your family enjoys them as much as we do. Thanks for visiting, Teresa! These sound amazing! I’ll have to whip some up for an on-the-go breakfast. Pinned and tweeted. Thanks for sharing at Merry Monday, hope to see you again next week! They are a life saver on busy mornings. Thanks for stopping by and sharing! I love a quick but yummy breakfast. It feels like you didn’t skip it and actually made it through it lol Thanks for linking up with Delicious Dishes Recipe Link Party!